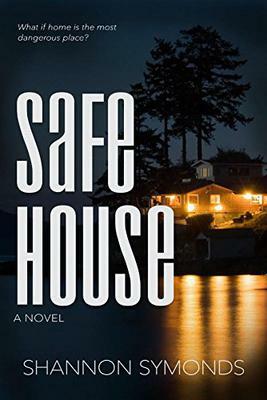 My novel, Safe House, is fiction, but the risks victims of domestic violence face are very real and can be deadly. Abusers can affect more people than the intended victim. The day after the deadly assault in California, according to Fox12 Oregon, a woman in Oregon contacted police to say her husband and two daughters were missing. She reported, he was suicidal and had threatened to take her 8 and 11-year old girls. When police located the man, he was shot after setting his SUV on fire. The children were found dead inside the vehicle. Domestic violence often harms more than the intended victim or the children of the intended victim. Traumatic events touch friends, family, witnesses, co-workers and first responders. Even the strongest first responder is impacted when a child is murdered. Whether you are a victim of abuse, or know a victim, learning to recognize the red flags which indicate an abuser is capable of murder may save a life. Learn how to reach out to professionals and create a safety plan for the victim, yourself, schools and other locations like work or church. If you are a victim of abuse, the National Coalition Against Domestic Violence (http://www.ncadv.org/) and the National Domestic Violence Hotline (http://www.thehotline.org/ )can help you find resources where you live. A trained advocate can walk you through a risk assessment to help you determine the level of danger you may face. If you are a victim of domestic violence, a trained advocate can help you create a personalized safety plan. Here) (http://www.ncdsv.org/images/DV_Safety_Plan.pdf) is a sample safety plan from the National Coalition Against Domestic Sexual Violence. If you are not a victim, learning this information could save a friend’s life. However, be very careful about the way you share it. The abuser may be tracking the victims every move and keystroke. Keep your local hotline number in your cell phone and link victims with professional advocates.